The TMJ (Temporomandibular Joint) is the joint situated just in front of your ear, allowing you to move your jaw forward and sideways and open and shut. 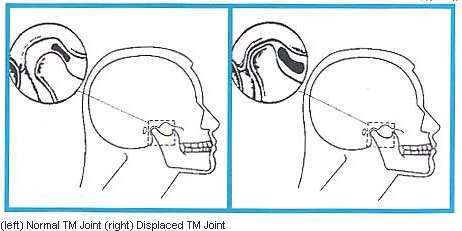 When your TMJ has any issues, it is called TMD (Temporomandibular Disfunction). TMD can cause muscle soreness, headaches/migraines, difficulty opening your mouth and sleeping problems. TMD can be genetic or develop when some habits, such as clenching your jaw or grinding your teeth, tire your TMJ and lead to headaches or neck pain. Your teeth can also become worn or sensitive from excessive clenching or grinding. Eventually the added strain can lead to the TMJ becoming strained or damaged. As the TMJ continues to wear down or be strained, your lower jaw may hit nerves and blood vessels, leading to pain when using your jaw. If you have strong headaches or ringing ears along with aching muscles, you may have TMD. If you have been diagnosed with migraines or if medicine doesn’t relieve your pain, you should consider coming in to see Boulder dentist, Dr. Gordon West, who knows how to treat your TMD and get rid of the soreness and pain you feel. Our goal is to relieve your pain now and make sure it won’t come back later. Dr. West will make a splint that repositions your jaw away from any blood vessels and nerves, relieving the pain and allowing your joint and muscles to work in harmony. After finding the best position for your jaw, Dr. West analyzes how your teeth fit together (occlusion) so that he can ensure that your teeth will not push your jaw out of place as you continue use your mouth. TMJ Treatment Makes a Difference! You don’t need to give up and give in to pain for the rest of your life. Modern dentistry can address TMJ issues and help get rid of the pain once and for all! If you have had similar soreness or pain, or have questions about TMJ treatment, call our Boulder dentist office in Lafayette, CO today.